This was one of the more creepier finds I’ve made. 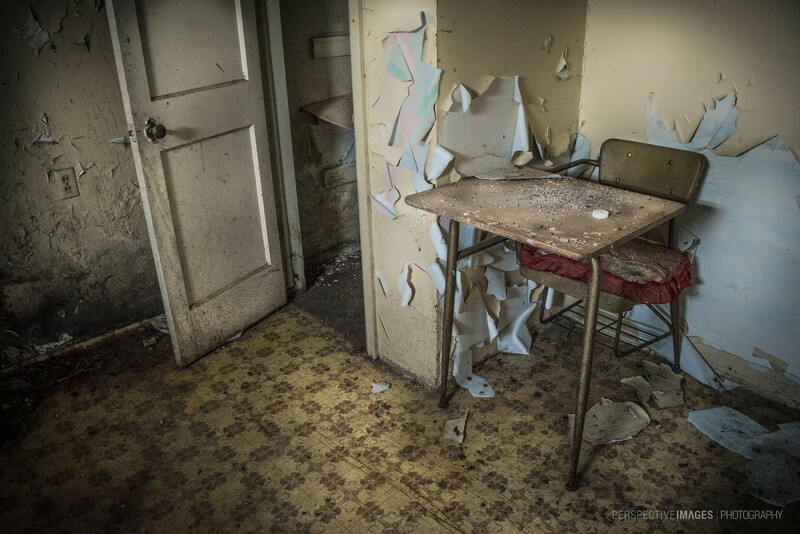 Sitting in dimly lit basement kitchen in an abandoned house was a child’s highchair. What an awesome yet creepy find. Amazing how that paint curls off the walls!